If the Trump administration follows through on the president's promises to build a border wall, would it actually stop undocumented immigrants and illegal drugs? Two former smugglers explain how they'd work around it. 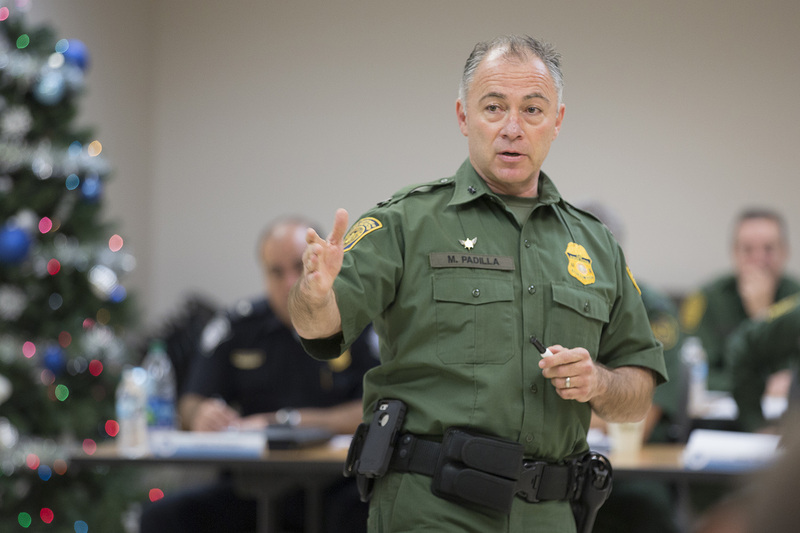 MISSION — Border Patrol Agent Robert Rodriguez is navigating his green and white SUV over a muddy stretch of road in deep South Texas when his two-way radio crackles with fresh intel. After a steep drop in apprehensions that many attributed to President Donald Trump’s ascension to the White House, the arrests have been trending back upward — and more arrests mean more are believed to be getting through. The Rio Grande Valley has become the Border Patrol’s busiest sector — nearly half of all apprehensions along the border happen here — and the Trump administration has targeted it as a prime location for a big chunk of that wall the president keeps promising to build. Whether a wall will happen, whether it would extend across the entire 2,000-mile border and whether it would be a solid wall or more fencing remains the subject of intense, shifting debate in Washington. But if the wall comes, will it help stop people like Perez or the drug smugglers the president says are pouring into the country virtually unfettered? Manuel Padilla says it will. Padilla, chief of the Border Patrol’s Rio Grande Valley Sector, which stretches for 320 river miles from the Gulf of Mexico to Falcon Lake, says the Valley has become smugglers’ favorite crossing point in part because it still lacks the barriers erected at one-time hot spots like San Diego and El Paso. But one of his former foes on the border, Norma Armendariz, says Padilla’s wrong. The Laredo native and sister of carjacking kingpin Jose Antonio “El Comandante” Armendariz estimates she earned $15,000 to $20,000 a week smuggling immigrants before she was busted in 2012. She says if she were still in the business, a wall wouldn’t slow her down much because there’s always a Border Patrol agent or customs official willing to take a bribe and look the other way. And a lifelong marijuana trafficker from Starr County who said he moved about 50 tons of marijuana a year through border checkpoints in 18-wheelers told the The Texas Tribune in an interview last summer that a wall wouldn’t stop him, either. The government’s own reports show that drug smugglers mostly bring their product into the United States through ports of entry — not across the river where the wall would be built — and the smuggler said he had a good system for sneaking it past the checkpoints that straddle the highways leading away from the border. Padilla says he’s seen the effectiveness of ramping up border security — including physical barriers — with his own eyes: Twenty-five years ago, sneaking over the border between the ports of entry wasn’t much harder than jaywalking in San Diego or El Paso. Political blowback over the influx of immigrants in the early 1990s, followed by post-9/11 fears of a cross-border terrorist attack, triggered a major crackdown. Fences were erected. Motion sensors, lights and thermal-imaging cameras proliferated. And the Border Patrol has more than quadrupled in size in the last quarter century. Today in the San Diego Sector — once described as “nothing short of chaotic” by the U.S. Justice Department — walls and technology upgrades have turned the international boundary into a virtual fortress. Apprehensions have plummeted from more half a million a year a quarter century ago to fewer than 32,000 in 2016, U.S. Customs & Border Protection figures show. Padilla said similar infrastructure upgrades are needed in the Valley, where the fencing erected a decade ago covers only about 50 miles of the border and still contains wide gaps so farmers can access land trapped between the fence and the river. But plans for a massive border wall — if Congress agrees to pay for it — have stirred stiff opposition from environmentalists, landowners and political leaders of both parties. And an investigation by The Texas Tribune and ProPublica found that the federal government consistently low-balled border residents to seize property for barriers erected in the Valley a decade ago. None of the blowback has deterred Trump from clinging to one of the central rationales and biggest applause lines of his 2016 campaign. Though polls show most Americans don’t want a border wall, the president misses no opportunity to tout his ongoing support for it, though he keeps changing his tune on how Mexico will pay for it — the latest being “indirectly” through a renegotiated North American Free Trade Agreement. “Don’t let the fake media tell you that I have changed my position on the wall,” Trump tweeted in April. “It will get built and help stop drugs, human trafficking, etc.” More recently, Trump has tied wall funding to any deal to give legal status to undocumented immigrants benefitting from a program known as DACA. Still, those who think Trump’s “big, beautiful wall” (he doesn’t like to call it a “fence”) would actually stop all or even most of the undocumented immigrants and illegal drugs coming across the border from Mexico might want to think again. Physical barriers are no more useful for stopping most illegal drugs because the majority of them — like the people — are coming across the bridges and ports of entry. This fact is buried in plain sight every year in the first few pages of the Drug Enforcement Agency’s yearly National Drug Threat Assessment, which calls Mexican transnational criminal organizations, or TCOs, the “greatest criminal drug threat” to the country. “The most common method employed by these TCOs involves transporting illicit drugs through U.S. ports of entry (POEs) in passenger vehicles with concealed compartments or commingled with legitimate goods on tractor trailers,” the 2017 report said. Walls won’t stop that — or the dope that’s flying aboard drones, flung from catapults, shot out of cannons or sent in the mail. In Texas, smugglers typically sneak weed over the Rio Grande, but they tend to hide the expensive stuff like heroin — chiva in Mexican slang — in vehicles driven over bridges or ports of entry that are crawling with law enforcement. Mexican heroin has contributed to a huge spike in opioid deaths in recent years, and they’re smuggling chiva right under the noses of the cops at the border crossings. Take it from some of the people who have smuggled immigrants and dope for a living: Where agents and politicians see future walls, they see ladders, ropes and the promise of higher profits. When prosecutors see adult smugglers going to jail, they see hard-to-jail juveniles replacing them. And where politicians see more agents protecting the border, they see potential accomplices who can be bribed to look the other way. Armendariz said walls might make it more challenging and time-consuming to cross the border. But smugglers operate vast networks on both sides of the river, she said, and they’re not going to stop trafficking as long as there’s money in it. In border dynamics, as in physics, actions initiated by law enforcement tend to provoke a corresponding reaction from smugglers — starting with price hikes. According to a Department of Homeland Security report issued in September, fees paid to coyotes have skyrocketed from about $1,000 to $3,000 a decade ago to as much as $8,000 for Mexicans and Central Americans today. That doesn’t include fees and bribes paid for traveling through Mexico to reach the border. And prices are higher for “exotics” — migrants from Asia, the Middle East or other countries far from Latin America. The coyotes have used their profits to finance increasingly elaborate smuggling schemes, from the construction of tunnels to "cloned" cars and trucks made to look like federal vehicles. As profits grew in the mid-2000s, the cartels that control access to the border also began to exert more control over human smuggling, experts say. 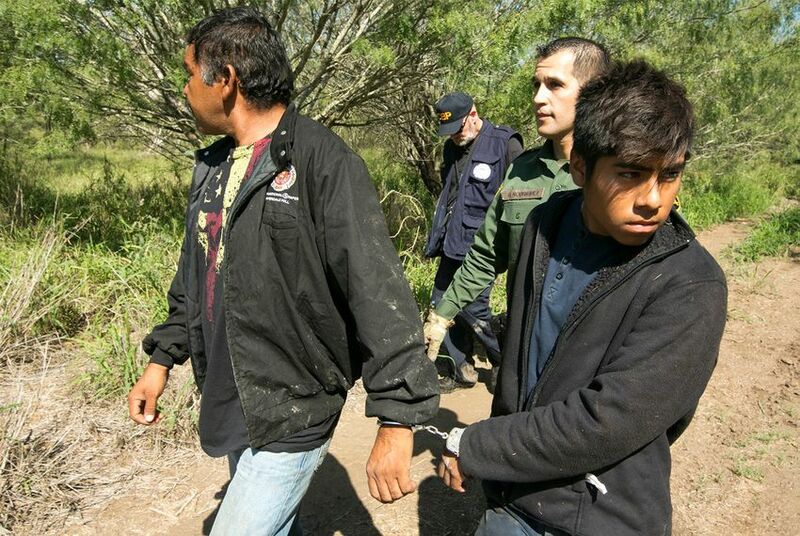 Cesar Castellanos, 32, a Guatemalan migrant caught by one of Padilla’s agents in the Rio Grande Valley Sector in October, said he didn’t dare try to cross without paying the cartel for the right. The dueling trends of ever-rising smuggling prices and heightened cartel participation in migrant trafficking have conspired to produce another disturbing phenomenon on the border — la mochila, or “the backpack,” in which migrants agree take a bag full of dope over the border for the cartels rather than pay smuggling fees they can no longer afford. Leutert, who specializes in Central American migration through Mexico, said a large pool of poor and marginalized migrants from Guatemala, Honduras and El Salvador — those who couldn’t afford smugglers to begin with — provides a steady supply of recruits for the cartels. Once dope is safely across the border, traffickers working for Mexican cartels in the United States still have a major hurdle to overcome before reaching lucrative U.S. markets: Border Patrol checkpoints that dot the highways leading away from the border. As with smuggling through the official ports of entry, the trick here is to conceal the drugs in secret compartments or hide them inside seemingly legitimate containers or products to avoid detection by the U.S. Border Patrol. The Starr County trafficker said he left nothing to chance in an enterprise that moved about 50 tons of pot a year in 18-wheelers before federal authorities caught him in late 2014. Typically, he would hide them in oil containers or in auto parts and deliver them to warehouses he owned — all of it disguised as a bona fide business operation. The drivers he hired had no clue dope was stashed in the loads they were carrying, he said. When he drove loads through the checkpoints himself, he said he stayed calm by taking tranquilizers known as “roach pills” or “los roches,” a name derived from their maker, Switzerland-based drug maker F. Hoffmann-La Roche. Now that he’s been caught twice and is staring at a long federal prison sentence, the Texas-born trafficker said he’s out of the business for good. But he predicted that no wall would stop the flow of drugs from Mexico — even as marijuana legalization in the United States has forced prices downward and cut into cartel profits. Call it the law of unintended consequences: Liberalized pot policies in the U.S. have actually helped boost the supply of cheap Mexican heroin as the dominant Sinaloa cartel — thriving despite the extradition of its former leader Joaquin “El Chapo” Guzman — shifts more of its drug operations to chiva. Now more than 90 percent of the U.S. supply of heroin originates in Mexico, up from less than 20 percent in 2005, according to DEA figures. Meanwhile, seizures of hard narcotics — particularly meth, heroin and fentanyl — have increased dramatically along the border in the last few years. And after a long period of decline, “cocaine use and availability is on the rise in the United States for the first time in nearly a decade,” according to a 2017 State Department report. The eye-popping increase in hard drug seizures and the volatile ebb and flow of migrant apprehensions demonstrate how quickly things can shift on the border. In the first few months of the Trump administration, headline after headline blared that Trump’s tough rhetoric and ramped-up deportation apparatus had sent apprehensions plummeting. 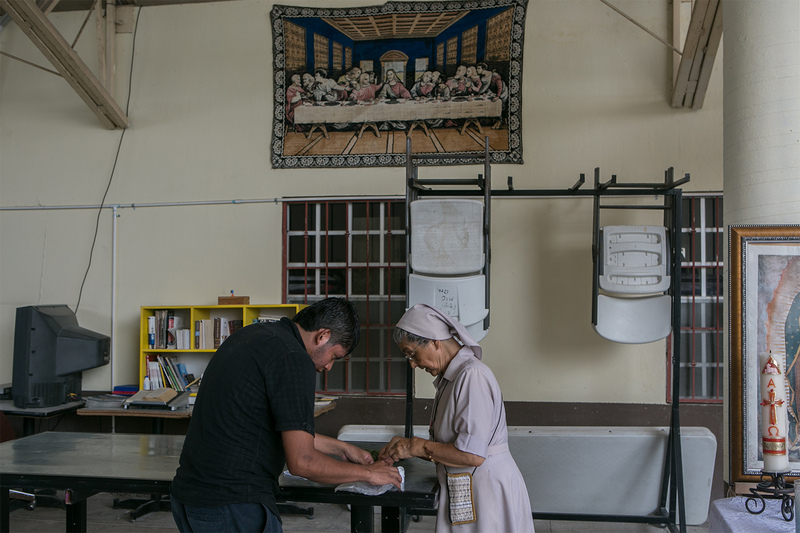 At the time, migrant shelters across the border from McAllen were brimming with deported migrants — but not the oft-seen throngs of aspiring crossers from Guatemala, Honduras and El Salvador. Border Patrol statistics back up her observation. In the final four months of the Obama administration, total apprehensions (plus those who turned themselves in at the ports of entry) averaged about 58,000 a month; in the first four full months of the Trump administration, it dropped to roughly 19,000. At the end of the 2017 fiscal year, there were 415,191 total apprehensions and so-called “inadmissibles,” the lowest total in at least five years. Inadmissibles are migrants, such as asylum seekers, who seek entry into the United States at a port of entry but lack authorization. The numbers have been trending back upward in recent months, averaging about 32,000 a month since July and topping 40,000 in December, the highest number of apprehensions since Trump took office. The Rio Grande Valley Sector has seen the lion’s share of the apprehensions in the Trump era — making up some 45 percent of them along the southwestern border in the 2017 fiscal year. And within the sector, Starr County, on the western edge, is the epicenter. According to 2017 sector data, 85 percent of the apprehensions and 70 percent of the drug seizures occur in the western portion of the sector, where Starr County is located. Padilla says it’s no accident that only 7 percent of the apprehensions occur on the eastern side of the sector, anchored by Cameron County, where long sections of concrete and metal fencing (and surveillance infrastructure) stretch along the border. Starr County has no federally installed border barriers, according to published maps of the existing fencing. That soon will change if U.S. Customs and Border Protection gets it way — with the installation of a 32-mile, $784 million fence in Starr County, or about half of the wall projects the Trump administration is proposing for the Rio Grande Valley, according to news reports. The $25 million-per-mile proposal has touched off howls of protest from environmentalists and political leaders while sowing panic among landowners who face government condemnation of their property. But regardless of the cost, the environmental impacts and the government’s history of rushed and sloppy land seizures in South Texas, would it even work? Is Padilla right that giant physical barriers down here would help tame the hottest hot spot left on the border, at least between the ports of entry? For some critics, the answer is a qualified yes — but it’s the wrong question. David Shirk, a Mexico expert at the University of San Diego, throws in another: Unless the United States truly lowers its demand for cheap foreign labor, forget trying to seal off the border from human traffic. The smugglers will just enter by sea, blow up the wall with explosives or fly over it in light aircraft, he said. There will be some new hot spot to tame. Shirk is dubious, too, about promises by the Trump administration to at last turn off the job “magnet” by punishing employers who hire undocumented immigrants and implement electronic employee verification (E-Verify) nationwide, flashy workplace raids notwithstanding.